In this research, the DNNs were trained with natural scene videos of motion from the point of view of the viewer, and the motion prediction ability of the obtained computer model was verified using a rotating propeller in unlearned videos and the "Rotating Snake Illusion". The computer model accurately predicted the magnitude and direction of motion of the rotating propeller in the unlearned videos. 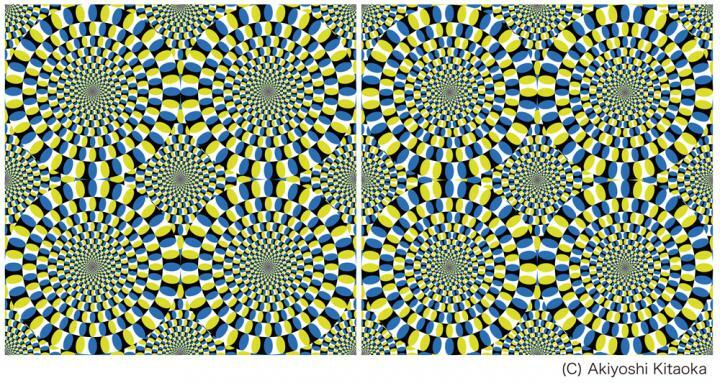 Surprisingly, it also represented the rotational motion for illusion images that were not moving physically, much like human visual perception. While the trained network accurately reproduced the direction of illusory rotation, it did not detect motion components in negative control pictures wherein people do not perceive illusory motion. Dr. Watanabe said, "This research supports the exciting idea that the mechanism assumed by the predictive coding theory is a basis of motion illusion generation. Using sensory illusions as indicators of human perception, deep neural networks are expected to contribute significantly to the development of brain research."